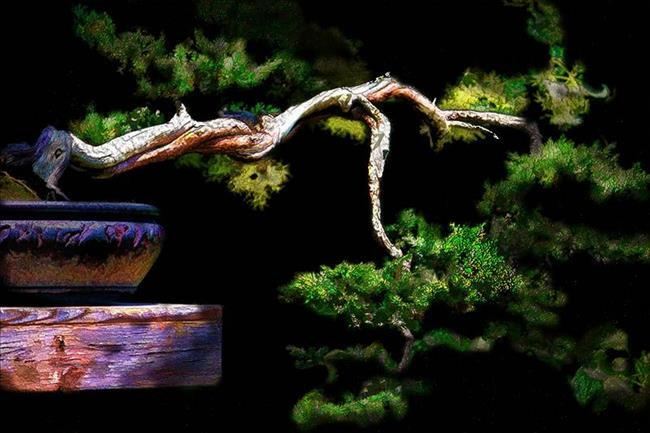 Bonsai Grace was created from an image photographed by me at Phipps Conservatory in Pittsburgh. They have the loveliest Bonsai collection. This was one of many. I worked on it in Photoshop to remove a lot of the distracting background and enhance the colors. I have entered it in the Flower of the Month, Houseplants show.